Oh, how summer flies! Can you believe the back to school sales are already starting? 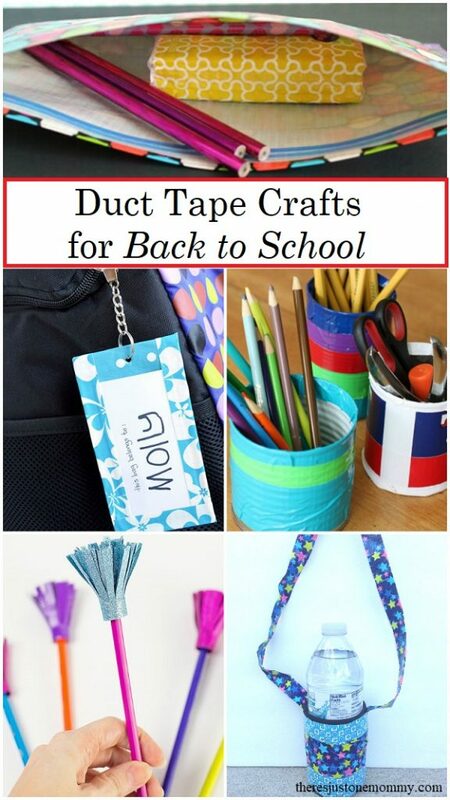 This year we plan on getting creative while getting into that back to school spirit with a few simple duct tape crafts for back to school. They’d be perfect for kids going to school, homeschool, or just organizing art supplies around the house. Duct tape crafts like these are some of our favorite kids crafts for tweens. These colorful kids duct tape crafts will keep your child organized and get them excited about the new school year. Here’s another version of a Duct Tape Pencil Case your child will have fun designing by While They Snooze. Brighten up your homework area with a Colorful Homework Caddy from Aunt Peaches. Here’s a fun idea for a gym bag! Make your own Duct Tape Backpack by Frugal Fun for Boys & Girls. You can even get the dolls ready for back to school with this American Girl Doll Backpack by Doll Diaries. Make taking notes more fun with a Decorated Clipboard and Matching Pen from Creations by Kara. Go green this year with Reusable Lunch Bags by The Gracious Wife. 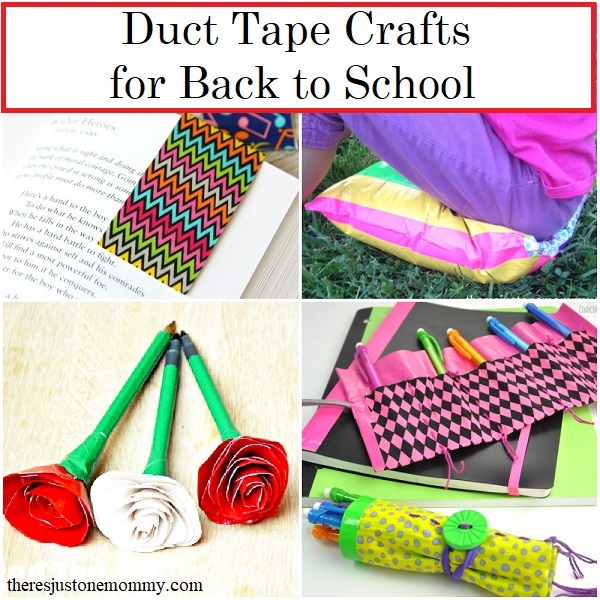 Here are a few more fun ways your child can express themselves with duct tape this school year. This Duct Tape Wallet by Frugal Fun for Boys & Girls is the perfect place to keep lunch money. Girls will go crazy for this DIY Duct Tape Hair Bow by Real Life at Home. Go to class in style with Duct Tape Bracelets by Teach Me Mommy. They’d be fun to give new friends at school, too! Can’t find a belt to fit your child? Try this DIY Belt by Frugal Fun for Boys & Girls. Keep that lip balm handy with this Duct Tape Lip Balm Holder by Artzy Creations.